Program provides personalized medical care and social support services to teens and young adults, ages 17 or older, with chronic conditions transitioning from pediatric to adult healthcare. 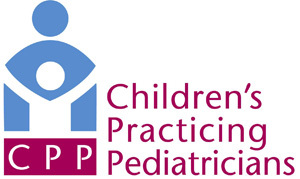 The members of the transition team are transition primary care doctors board certified in pediatrics and internal medicine, specialist doctors, transition coordinators, nurses, social workers and pharmacists. Visit the website for information on how a doctor can make a referral to their clinic. Works with youth who have special needs and their families along with their health care providers to provide support while transitioning into adulthood. They offer guidance as many of the youth are seeking out health care or learning to manage their own health care independently. The website provides information to help prepare for a teens’ transition to adult health care. This website focuses on teens, and answers questions about relationships, parenthood, education, housing, legal rights, LGBT, foster care, immigration, money management and more. There is an online FAQ to help youth and young adults learn about their rights and responsibilities and other information they need to move with confidence through adulthood. Offers clinical services for adult and transition-age-youth patients with autism. Available services include: primary care with physicians, medical assistants, a nurse and a social worker who have experience working with youth and adults with autism, clinical pharmacy consultation for medication questions and medication monitoring, and in-office lab and procedural care. A list of physicians that see both kids and adults, so a patient who sees only a pediatrician can go to one of these after they have aged out of the pediatrician. This assessment is for parents/caregivers to assess their child’s knowledge about their healthcare and needs. This questionnaire assesses the patients understanding of their healthcare needs and their ability to use health care services. This worksheet assesses a child’s understanding of their health and independent living skills. Transition checklist for once an adult provider is selected. A sample letter that can be used to alert parents and patients of the need to transition to an adult provider. A sample letter for college bound students. A sample letter for patients that have become parents. A list of Links for Ohio Medicaid providers.